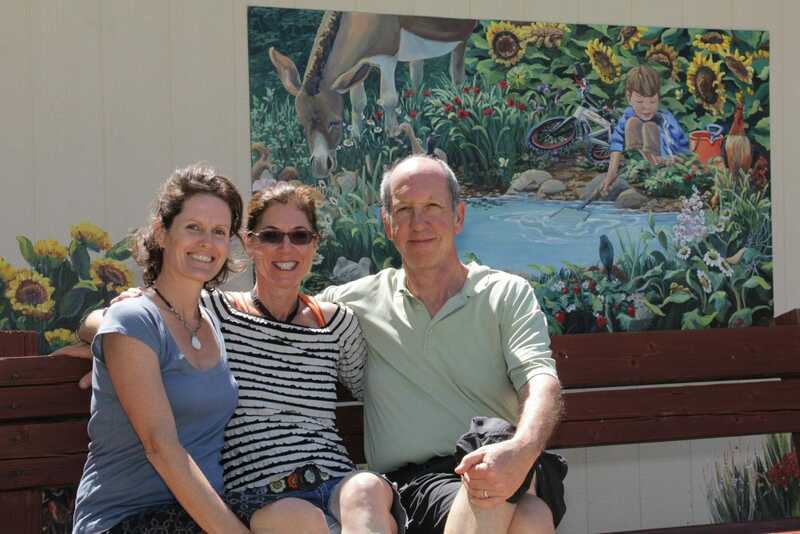 The “Waterhole Mural” was donated to Barron Elementary by Kim and Ken Perlmutter. The graduating class of 2014 got in on the action and hired me to paint additional flowers that wrap around the wall as their parting 5th grade gift. 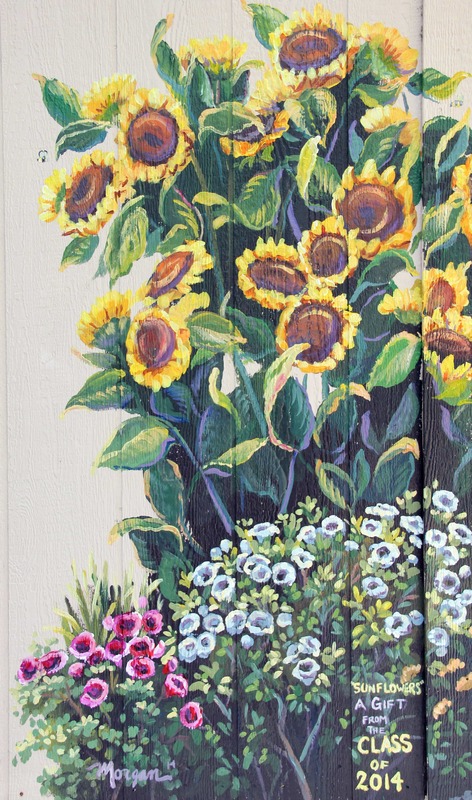 It finishes off the shed and the space with floral abundance.